I know a guy right now in the ”hole” over Christmas and New Years for possession of powdered bleach- not an unusual thing in prison as many inmates wash their own clothes. It is contraband but typically a very minor offense that most correction officers (C.O.s) wouldn’t bother ticketing for. Except this C.O. was convinced, for whatever reason, the guy was trying to pass off the bleach as drugs with no other corroborating evidence. I’ve seen dozens of guys thrown in segregation for less, simply because a staff member comes to work in a bad mood or just doesn’t like the inmate. Often they’re let out after 3 or 4 days or a week but by then they’ve lost their ”rack”- the place, cell or dorm, that was their place of living sometimes for years and it’s very distressing. Comparable to a person being evicted out of their home in society. And the conduct report stays on their institution summary, seen by judges and parole board, guilty or not. It’s a continual injustice in the system. New C.O.s are often the worse; they come to work trying to prove something, writing tickets for the tiniest of errors thinking that’s what makes their bones. Training needs to be much more comprehensive, especially regarding psychology of the interned. Most people don’t know that the ODRC is by far the state’s largest mental health provider. Ohio closed most of the m.h. hospitals years ago so prison is now where most of the patients end up now thanks to a broken criminal injustice system. Another stomach wrenching part of the failed prison system is that we as inmates are held to a much high standard of conduct than ODRC staff themselves are. The problem is that staff, of course, cover for each other even when the most blatant breach of rule or procedure occurs. Unless they are a person of providential integrity- fearing only God- who are they going to side with- a co-worker they have to labor with everyday or a contemptible inmate which will only bring them scorn in the eyes of their unionized brothers? Even the Institutional Inspector, the man who’s paid to see that rules and protocals are upheld by staff, cannot be above reproach because he too works arm in arm with the rest of the prison staff. And it will stay that way until it is demanded that he operates from a remote office setting. Still and yet if a staff member lies on a ticket or at an Rules Infraction Board hearing (the prison’s kangaroo court for more serious misconduct) there is no recourse for the lowly inmate. Every prison in Ohio has a million dollar security camera system- and prison admin will absolutely NOT allow film footage to be used to vindicate an inmate no matter how right he or she is or how high the stakes are, unless perhaps the courts get involved. Why is that? Shouldn’t it be that those entreated to enforce the rule of law, supposedly the highest station of truth in our country, be held to the highest degree of integrity? How else to demonstrate to young inmates especially that honesty and character still win the day? If not, how then do we as society expect people to leave prison with personal honor in tact if it is not demonstrated by the authorities paid to watch over them? They are currently sending the absolutely wrong message. My experience is that integrity within a prison starts with the warden. Unfortunately due to the too-high pay grade of prison wardens the job is essentially a political appointment which makes it unlikely that he/she will instill staff conduct mores for fear of organized labor reprisal. At this time I’ll not even get into the perverse medical care issues facing the prison department. The volume of lawsuits covers that nicely. Still, after years, they’re hard learners. They’d rather play with people’s lives and risk the penalties later. That’s the ODRC version of the Hippocratic oath. I’m not here to say that all ODRC staffers are inherently evil. They’re not anymore than anyone else. It’s a fallen world and a hard to navigate business. Prisons are unfortunately a societal necessity and it’s up to good people in society to drive prison reform forward. Let’s put the ”R” back in the DoC. Unfortunately the feds and some states have already given up on the ”R” – reform and rehabilitation -literally. Demand transparency to where your tax dollars are going within the vortex of your state’s prison system. 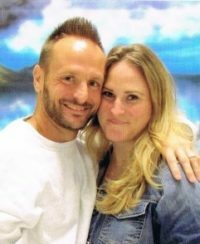 Visit websites like peopleagainstprisonabuse.com to get started. I would be remiss to shed light on just negative actions affected by the ODRC and not the positive. I will say that the ODRC powers-that-be did a wonderfully good thing in seeing the cost of telephone calls go down from $5 a call to $1 a few years ago. It’s only obvious that contact with family and friends is unwaveringly important in the redemption of felons and the ODRC acted on it. Four years ago digital tablets were made available to inmates to buy from which inmates can compose and store emails and download music. Furthermore just this year wireless phones capable of streaming music and t.v were disseminated to inmates at most institutions. This undertaking was especially wise as it eradicated payphone traffic which at times was being forcefully monopolized by prison gangs. Now everybody’s got their own phone. On top of prison reform the ODRC administration must prioritize and expand computer and digital learning. Every year that a person spends in prison without such available education is three or four years fallen behind in the digital age. The fallout from so many re-entering society with such lag will only add to our homeless population as one can scarcely communicate today let alone apply for a job without basic computer knowledge. Then what is a felon to do in order to feed and house himself and perhaps a family? Reoffend? It is a scary proposition for those facing that exact landscape. Thanks for reading.